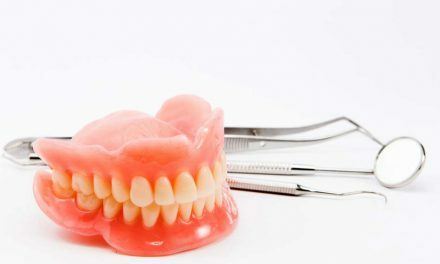 A dental crown is a restorative oral prosthesis, similar to a cap, and that is shaped and made to look like a real tooth. A crown is usually placed over a tooth that was damaged by either decay or by a fracture, to cover and protect it by reconstructing its shape, its exquisiteness, its size and its strength. Once cemented, a dental crown completely covers the portion of the tooth which is above the gum. Porcelain is the material that is mainly used to make a crown because of its aesthetic qualities, with visual properties that are very similar to dental enamel. 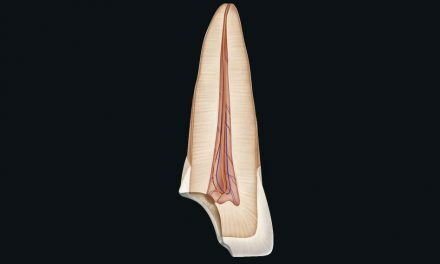 Therefore a crown looks like a real tooth in its shape and colour. To protect a weakened tooth (by tooth decay for example) against rupture, or to keep together a cracked tooth. To restore an already broken tooth or a severely worn out tooth. To restore a tooth that has had a root canal and a post. To cover and support a tooth that had a large filling when there isn’t enough healthy tooth structure left to be restored by a new filling. To cover a tooth that is malformed or severely discoloured. Several materials can be used to make a dental crown. There is no universally ideal material. The choice depends on many factors including the location of the tooth and the aesthetics that are required. A crown made of gold alloy is the one that lasts the longest. It resists very well to chewing forces, it rarely breaks, and it causes very little wear to opposing teeth. The gold’s metallic colour is the main disadvantage of this type of crown and this factor reduces its popularity. However, gold would be a good choice for a molar that does not appear when a person smiles. Gold crowns are made in a laboratory with an impression that the dentist takes of the tooth; it is therefore necessary to protect the tooth with a temporary crown during this period of a few weeks. A crown made of porcelain fused to gold is a more aesthetic crown than the one made of gold alloy. Porcelain can make a crown look very similar to a natural tooth. The gold part, which is located below the porcelain, helps give strength to the tooth. Porcelain is very strong, but is less strong than gold and can fracture. Sometimes the gold under the porcelain may show, especially at the gum level. This type of crown is also fabricated in the laboratory with an impression of the tooth, and a temporary crown is needed during that period of fabrication. An all ceramic crown is the most aesthetic crown because it is made of porcelain only. Its shape and colour can match the qualities of natural teeth very closely. This crown is however less solid than gold crowns or porcelain fused to gold, although new varieties of porcelain which are more and more resistant are coming out on the market. Porcelain only crowns are recommended for anterior (front) teeth to favour beauty and offer a better looking smile. Porcelain crowns are generally fabricated in a dental laboratory. A CEREC crown is also made of porcelain only. This technology allows the dentist to engineer himself the crown following an electronic impression. The design and preparation are assisted by computer. The great advantage of CEREC is that a second appointment is not required to install the crown after its making in a dental laboratory since CEREC technology ensures the production of the crown in a few minutes by the dentist himself. But even though CEREC’s porcelain is becoming more and more beautiful, dental laboratory’s porcelains are still more aesthetic and resemble more the natural appearance of teeth. A temporary or provisional crown is made by the dentist himself and has a lifespan of a few weeks. It is made of acrylic or stainless steel, and serves as a temporary restoration until the permanent crown is made by a dental laboratory. A temporary crown is not strong and can break easily. Before starting any treatment, the dentist must examine the tooth which needs the crown as well as its x-ray. He or she must determine if there is a cavity present, and whether the tooth previously needs a root canal. If a root canal is necessary, it must be made first. 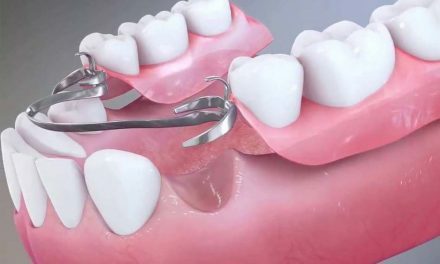 A root canal also allows placing a dental post on which the crown will hold. If the root canal treatment is not necessary, any cavity should be removed and any old fillings should be replaced on that tooth. During the first visit, the dentist shapes the tooth by reducing it slightly all around to create space for the crown. An impression of the tooth is taken to be sent to the dental laboratory where the crown will be prepared. A temporary crown is then placed on the tooth which will remain there until the following appointment. 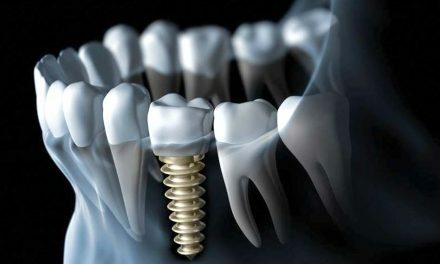 The second visit is usually shorter and takes place two to three weeks later in order to cement the permanent crown. The dentist removes the temporary crown, checks the adaptation and colour of the permanent crown before installing it with dental cement. A crown of the CEREC type needs less dental appointments since the engineering of the crown is done at the dental office and does not need to be sent to a laboratory. 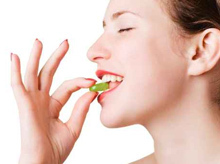 Avoid sticky foods like caramel or chewing gum, which can dislodge the temporary crown of the tooth. Avoid hard foods that could fracture the temporary crown. Try not to chew on the side of the mouth where the temporary crown is placed. If the temporary crown falls or breaks, do not panic, but call your dentist to warn him. A dental crown can last between 5 and 20 years. The lifespan depends on oral hygiene, oral care, oral habits, and the material used for the crown (gold versus porcelain). Tooth grinding, chewing on ice or biting your nails are conditions that can brake down a crown or even make it fall. 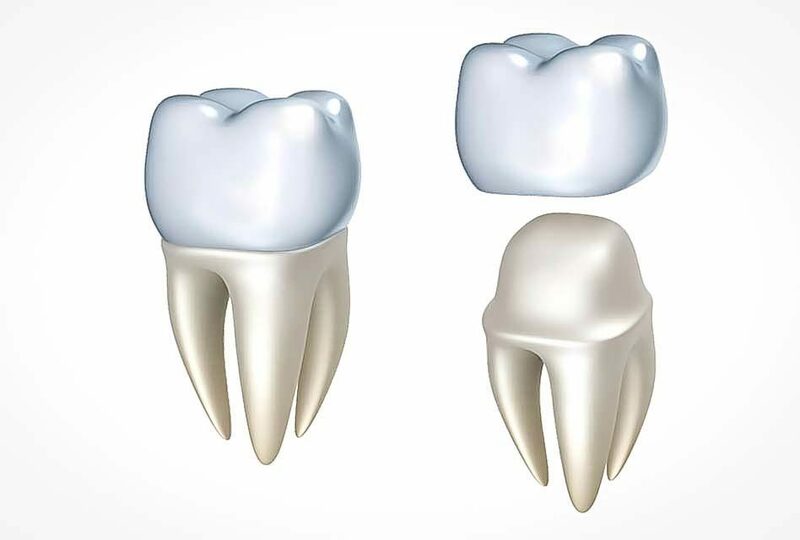 If a crown falls out from the tooth without breaking, it can simply be cemented back in its place as long as the tooth does not have any cavities. If a crown has a major fracture, it should ideally be replaced. A minor fracture can sometimes be repaired by the dentist. It’s important to remember that even though a crown cannot be decayed, the tooth below may be exposed to cavities and gum disease. Good oral hygiene care should be preserved including tooth brushing and flossing. During dental checkups, your dentist checks the state of the tooth, the state of the gums, the condition of the crown and its adaptation. It is recommended to go for regular dental checkups every six months to verify the general situation of the mouth and teeth. I think that Delta is an insurance company for patients in the United States. Myself I practice in Canada and I am not familiar with it. For dental insurances, usually you would need to be evaluated by a dentist, and then he or she sends an estimate to your insurance company and a few weeks later you will know how much they cover for your dental treatment. i need to do an Implant on me. my phone number is : 2022778796. Hello Omar, it is best to find a dentist that live in your city, as I am in Canada and might be a bit far from you. So where exactly are u located and how much do u charge because I need some dental work done . I live in Canada, near Montreal. And any good dentist would need to see you in person to get the proper diagnostic before telling you how much it costs.